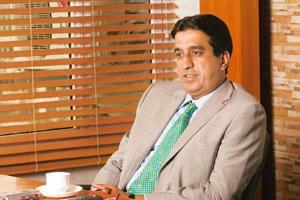 Pranav Ansal (born 27 th November, 1959) is an Indian real estate business tycoon. He is the Vice Chairman and Managing Director at Ansal Properties and Infrastructure Ltd. which came into existence in 1967. It is valued at US$3,978,210. He spearheaded the development of 19 township projects in North India, including the noteworthy townships like Sushant City and Sushant Lok. He has also been well supported by the Pradhan Mantri Aawas Yojana. Interestingly, he had joined the company as a Management Trainee. Ansal is a graduate from Delhi University’s Hans Raj College. 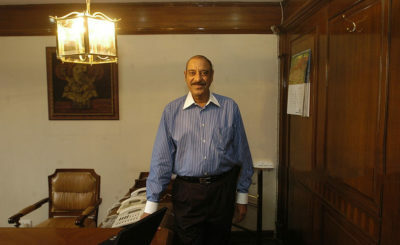 His father, Sushil Ansal is the chairman of Ansal API. His mother, Kusum is a homemaker. 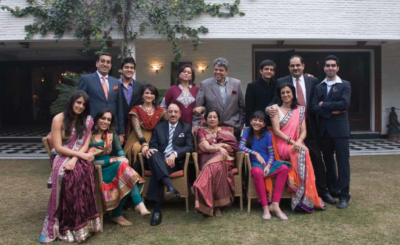 He got married to Sheetal Ansal in 1993. They have a son, Ayush Ansal and daughter, Anushka Ansal. Pranav Ansal joined the Ansal API Group in 1995 as a management trainee- the lowest rung of the executive ladder in the Ansal API office. But, Pranav was unaffected by the position; instead he remained focused on the work assigned to him. With his sheer hard work, dedication and intelligence, he rose from the position of an executive trainee and went on to become a renowned industrialist who revolutionized the retail sector in India. Ansal Plaza- India’s first mall is yet another novel creation of Pranav Ansal.Through his dedication and dynamism, he has risen to the position of Vice Chairman and Managing Director. He initiated ‘Planned Development’ by launching Tier –II and Tier-III cities in Delhi NCR. He is the man behind the development of Signature Townships of the Ansal API Group, namely Sushant City, Sushant Golf City, Sushant Lok. Pranav Ansal is the creator of not only residential properties, but also retail shops, hospitality projects, commercial and industrial properties. He has expanded Ansal API’s portfolio across various business verticals, like Integrated Townships, Condominiums, Group Housing, Malls, Shopping Complex, Hotels, SEZs, IT Parks and Infrastructure and Utility Services. Pranav Ansal has made Ansal API a strong entity in 4 states and 19 cities of our country. 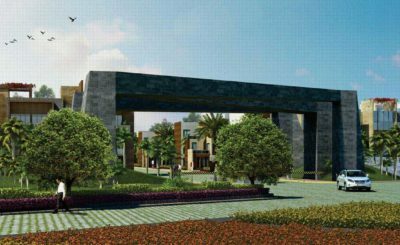 Pranav Ansal is accredited with not only building residential and real estate marvels like Sushant Lok, Sushant Golf City, but also establishing educational institutions. The Ansal University is an example of Pranav’s dedication and duty towards the development of the society. In 1988, Pranav Ansal along with Mr. Sushil Ansal introduced the shopping mall culture in North India by building the first ever mall of India- ‘Ansal Plaza’, after which a chain of other malls was established. He added another feather to his cap when he created the Sushant Golf City, The Sushant Golf City is a hi-tech residential township spread across the outskirts of Lucknow. It is strategically located on the Lucknow-Sultanpur National Highway on Amar Shaheed Path, Ring Road. It is well connected with the outside world through well paved roads, and airport which is nearby. The township includes Residential and Commercial Plots, Villas, Group Housing, Commercial Spaces/ Office Spaces and Commercial Business District. It is well equipped with the basic as well as the most important amenities/facilities like health centers and hospitals, schools and educational institutions, community facilities and clubs, and sufficient green cover. The township has an efficient power distribution network and enjoys regulated potable water supply along with solid waste management. It also has a well developed sewer system. The development of Signature Townships of the Ansal API Group, namely Sushant City, Sushant Golf City, Sushant Lok, and many such great projects have been possible only because of Mr. Pranav Ansal’s novel thinking, innovative idea and hard work. Ansal API is one of the best real-estate developers in Delhi-NCR which provides residential property, commercial property, retail shops, hospitality, industrial property, Bank and facility management in U.P, Gurgaon, Punjab, and Rajasthan etc. Ansal API is one of the prominent real estate developers in Delhi. It keeps introducing new residential projects in Delhi-NCR, India. It is also one of the top builders in Delhi. If you are looking for the best property in Delhi-NCR or/and luxury flats in Delhi, Ansal API is the name to look for. Even if you want to book super luxury apartments in Delhi, then also Ansal API is the leading name. Ansal API is already running and also keeps introducing the best projects in Delhi-NCR region. It is the creator of various luxury projects in Delhi NCR. Under these projects, it has constructed luxury flats in Delhi-NCR, and luxury apartments in Gurgaon. Ansal API has been building high class flats of different accommodation in Delhi-NCR as well as flats in Gurgaon. It has built 2 BHK flats in Delhi-NCR, 3 BHK flats in Delhi-NCR and 4 BHK flat in Delhi-NCR. Ansal API, under the guidance of Mr. Pranav Ansal has expanded its realty sector in other states also. Be it in the form of its 2 BHK Flats in Greater Noida West or its 2 BHK flat in Haryana, 2 BHK flat in Rajasthan or 3 BHK flat in Haryana, Ansal Group has constructed affordable flats in Gurgaon, Haryana, Punjab and Rajasthan and set up promising property in Haryana as well. Ansal API not only creates the best residential projects in Delhi-NCR, but also creates fantastic commercial property and retail shops. It has established commercial property in Delhi-NCR, retail shops in Delhi & NCR, commercial property in Punjab, and even commercial property in Rajasthan. The success of all these projects goes to Mr. Pranav Ansal who has carried on the rich legacy of his visionary father and taken Ansal API to the next level as a leader among all the real estate developers in India. education based on the pattern of US Education System. It was established under the Haryana Private Universities Act, 2006 and is the only university to offer a 2 year program in Real Estate Development.